My book was released on the 6th April 09 in the UK, Europe & US. 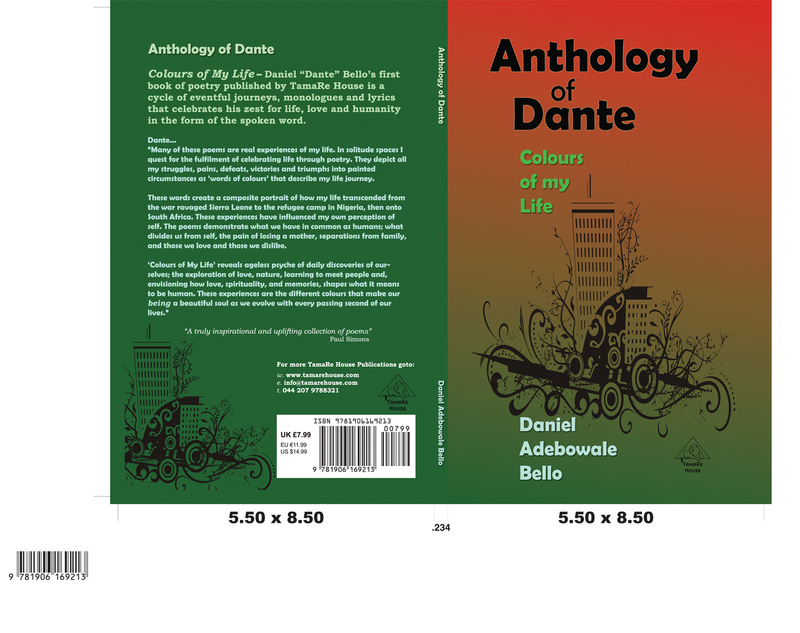 You can order your copy@ www.tamarehouse.com/anthologyofdante and be the first to experience the spoken word in a dynamic and profound way. If you can order online please do and I will keep you all posted as to when it will be available in our local bookstores or you can purchase it directly from me. You can search the ISBN: 978-1-906169-21-3 and the page will come up or you can copy and paste the link and press enter.